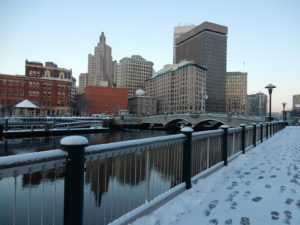 If heading into Downtown Providence, check with the City of Providence to see if any on street parking bans have been put into effect. For e-news updates from RIPTA about potential changes to bus service, sign up here. Check the MBTA website for updates on commuter rail service. Please call businesses to check on their hours of operation. Don’t forget–if you own property in downtown Providence, you are responsible for clearing snow from the sidewalk! The DID ambassadors will help with snow removal on curb cuts. Check back for updates throughout the day.